At Epic Security, we are proud in knowing alarm systems. We can provide you with standard to modern options, and alarm system brands that is perfect for you. How does an alarm benefit your safety? When you have an alarm system installed, you can choose to link it to a siren, your armed response, flood lights, outdoor beams, sms notification ect. Picture this, an intruder triggers your alarm, suddenly a loud siren alarms, the area lights up with flood lights, you are now being notified via sms, and your armed response has already been alerted. The chances are, that the intruder is outnumbered by many factors. 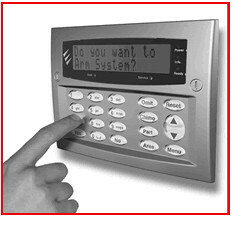 Epic Security can help you use and understand all the options and functions available to you on your alarm system. This is just another way how we ensure that your loved ones are safe and secure.